Supports 4K and Ultra HD! Not sure about BNC genders? Read our Help Center article on the subject. Media Blackout's MegaFlex HD-SDI is specifically designed for gimbal and robotic head use. It’s the most flexible HD coaxial cables around with a bend radius of just one inch and a flex-life of 1 million cycles. This premium cable has a full braided shield, and can handle 3G SDI, as well as Blackmagic Design's 6G SDI devices. Cable diameter is only 0.1" (2.5mm). This is truly THE BEST BNC cable for use when weight and flexibility are key. 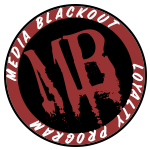 MegaFlex cable is custom manufactured for Media Blackout in the USA. Artemis Trinity: The Trinity manual calls out "Mini BNC" connectors, but the connectors aren't actually "Mini BNC, they are SMB connectors. You will need to choose "SMB Female Plug" for use with the Trinity. For Mōvi operators who wish to route BNC through the carbon fiber tubes on their rig, we now offer SMB connectors! SMB coaxial connectors are only 0.255" in diameter and can fit through small openings. Just use a BNC to SMB adapter (Digikey part ACX1385-ND), and you're good to go! Some Steadicam sleds use SMB connectors, as well. When configuring cables for certain Blackmagic devices as well as the Nokia OZO, choose male DIN 1.0/2.3 connectors. The male/female naming of the connector in the options drop-down is derived from the gender of the center pin, not the gender of the outer housing. A jack has a male housing, while a plug has a female housing.